Imagine waking up, and as you have your first cup of coffee, you open your laptop, and you see a whole string of emails downloading in your inbox. But these aren’t the typical emails you see in your inbox. What you see instead are dozens of confirmation emails informing you that people have purchased your online course. That’s right. In this scenario, you’ve made money while you slept. And that’s what passive income can do for your business—it breaks you out of trading time for dollars so that you can make money while you’re sleeping, hanging out on the beach, or going on vacation. As followers of “The Suitcase Entrepreneur,” so many of you are looking for exactly that— more money and more freedom in your business. In fact, Natalie recently reported that 38-50% of her followers want more freedom and money, but are still stuck trading time for dollars. That’s usually why so many entrepreneurs want to create a digital course. But only 6% of her readers are actively selling their own products like a digital course for residual income. And that’s because creating an online course can feel overwhelming! 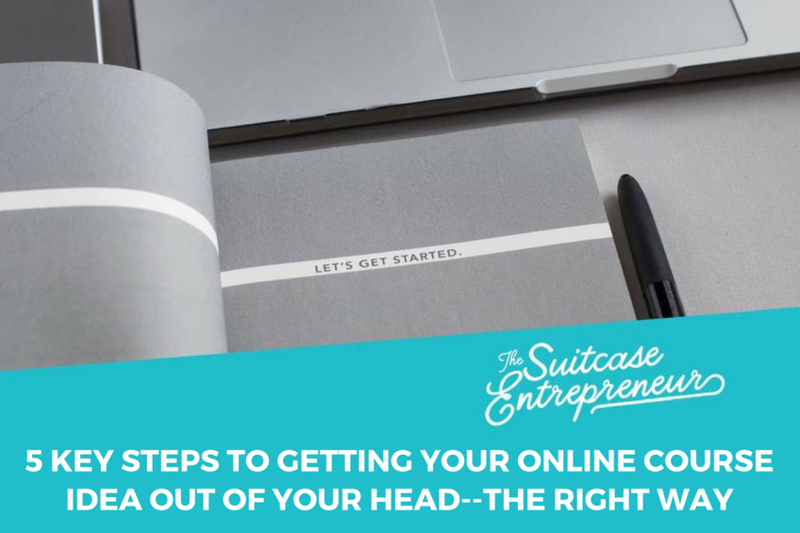 The technology can cause confusion, writing the modules takes time, and trying to balance that with running your own business, well, it’s no wonder that so many entrepreneurs give up on it. The truth is, with the right approach, it is not only doable, but it can also make you the residual income you’re looking for. And that’s why I am so excited to be sharing how I help entrepreneurs get their knowledge out of their heads and into a course. I’m going to let you in on a content creation secret: this isn’t the right approach to bring to a course or program. When you start asking yourself, “how much information do I put in?” you set yourself up for an info-dumping course. It can be like opening a can of worms–once you start stuffing information into the course, you may not know when to stop. And the course can start to become overwhelming and larger than you wanted it to be. The focus should instead be based on this question: what action am I wanting my participants to take? The information is a secondary part of the program rather than the driving force. Action-based courses will set you apart from the thousands of online courses that are out there because action is what makes information stick and shift people’s behaviors and thinking. I’m going to share with you 5 key steps to building an action-based course. When determining the outcome, you have to invert your thinking. You’re going to start at the end. Assuming the target audience does everything, what will they have when they’ve finished the course? You want think about a realistic outcome that your participants can achieve by the end of the course. This outcome should be action-based and tangible. Deciding what the outcome is involves knowing your target audience really well. Where is your target audience in terms of understanding your content (are they at a beginner, intermediate, or advanced level)? What problem(s) do they want to solve? What’s their biggest challenge with/around ________ (your topic)? If they had this desire met, what would their life look like? Once you know what the ultimate outcome is, you need to identify 3-5 big steps to get to the ultimate outcome. These will become your modules within the course. As you determine those 3-5 big steps, always remember your target audience. What is reasonable for them to do given where they are? I recently helped a nutritionist with these two steps when I helped her develop a six week healthy eating habits program. The typical participant for this program is someone who only consumes processed foods and doesn’t exercise. These are absolute beginners when it comes to healthy lifestyle habits. So within six weeks, it’s not possible for them to remove all processed foods and become avid gym goers. Instead, the nutritionist’s ultimate outcome is to teach them how to do some basic meal planning to introduce fruits, vegetables, and healthy fats to their daily routine. To that end, the very first step is about meal timing and teaching participants when to eat. As basic as that may seem, it meets the challenges her participants are experiencing. This program was successful because she knew her ideal student and she made the outcome action-based. And with an action-based outcome like food prepping, the rest of the program’s content was easier for her to put together. Once those two steps are finished, you can then move on to building the modules within the course. I’m showing you a formula that will make you stand apart from courses where the teacher just seems to drone on and on. Your students should be excited and engaged with the content, and this formula will help you achieve that. And this is the step where most of my clients have experienced the most difficulty when they tried building the course on their own. Following this formula will make building your modules so much easier. This is the objective of the module that addresses the benefit of learning this material. Make sure this is always at the beginning of every module. This secures the participants’ trust in you as the instructor. This is the essential information participants will need in order to implement the information. It’s a blend of factual information and stories. The stories are critical in this section as it shows what this information will look like in real life. This is where you breakdown how participants will use this information. Remember, it’s all about getting participants into action mode, so be sure to breakdown how to apply it step-by-step. You need to anticipate any common questions, challenges, or objections participants will have as they go through each module. To do this, recall the target participant taking this course. Once you’ve built the modules, I always recommend creating a “welcome” or “introductory” video. It’s important for your participants to know how they will be successful in taking your course. The content in this video is a blend of logistical details and your expectations as a teacher. This type of video prepares the participant for what to expect from you and the content and what their responsibility is as a student. How much time should participants devote to your course on a weekly basis? What is your style as a teacher? What are some concepts or principles that will help them complete the course? How will participants connect with you? Humans always wonder what the next step is. This is your opportunity to give them that answer. When participants near the end of your course, you can tell them one of two things: what comes after the outcome or how to apply it more. For example, the nutritionist might tell participants what the next step in their health journey is after meal prepping. She might also show them how to meal prep for all meals every day of the week. This step not only deepens the relationship with you as the instructor but it situates you as a trusted, knowledgeable resource. When you embrace the shift in approach to building an online course, you’ll not only feel less overwhelmed, but you’ll also bring a value packed offering to your target market! But more importantly, you will avoid the “info-dump” temptation that can lead you down the rabbit hole. This is a guest post from Jessica Terzakis, content creator and co-owner of Terzakis & Associates. She helps entrepreneurs break out of the “wishing they had an online course” cycle by creating it with them or for them. 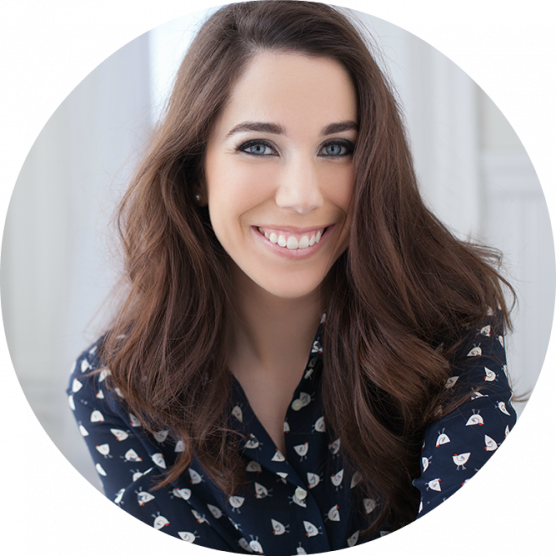 Having a master’s degree in education and having worked as a high-school English teacher, she now helps overwhelmed and frustrated entrepreneurs better communicate their brilliance and stand out from other online course creators. She invites you to download this PDF that will show you how to outline your entire course.